How to make a kubotan? One of the great advantages of the kubotan is that it’s nothing more than a simple rod, having the same shape of the marker pen. Kubatons have been made of wood or metal or even polymer. Most of the commercial kubotans are metal or plastic ones. However there is a big room for improvisation here. A lot of people have been creative enough to make their own kubotans from different materials and in different forms. If you are one of those DIY enthusiasts, we are sharing below some example for how you can make your own kabotan with very simple materials and for very low cost. We will be updating this list when something pops up. #A step by step instructions on how to make your kubaton keychain, in the link below. There are some other videos and information online, give it a go and share your project with us when finished. 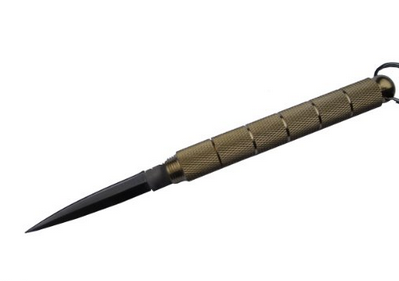 Kubaton Knife, for self defense? 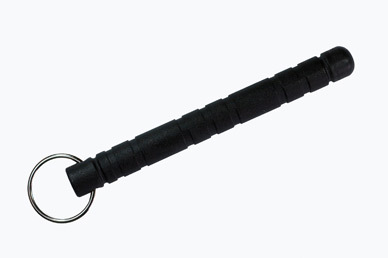 A Kubaton knife is another form of the kubotans keychain. 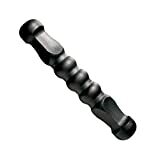 It usually comes in a hollow design that can be used as both a kubotan and a dagger knife when needed. There are many forms of those in the market, but in most cases the knife is concealed in the hollow body of the kubaton. They are typically made of aluminum and weigh something between 2 and 3oz. In order to use the knife you will need to unscrew it and then fix the blade outwards. We highly advise against using the kubabon knife for self defense. In our experience it doesn’t qualify as an effective knife nor a kubotan due to its design and light weight which makes it ineffective as an impact weapon. It’s also unpractical to use as a knife as in a real fight your attacker will not be patient enough to allow you to unscrew and fix the blade to use it against him and because of that it will surely get you into legal trouble if you are caught with it or had to use it in a real life situation. It’s very hard to justify that this weapon is only used for defense and that you didn’t intentionally want to harm your opponent. There are some forms that is easier to deploy, but they might not be very secure to use as kubatons. All in All, this might be a nice piece to own in your collection but definitely not an optimal self defense weapon. Here is a quick youtube video, so you have a good feel of how kubaton knife looks like and used. 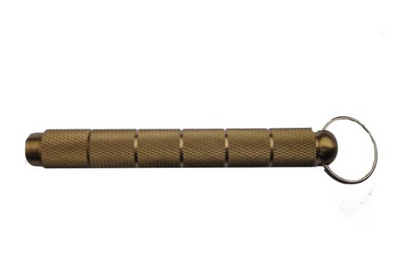 If you would like to pick one of those, you can buythe FURY Tactical SDK Self Defense Keychain with Internal Knife from Amazon for $4.49 below. Best Kubaton: How to choose yours? 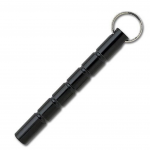 Kubotan is a small self defense weapon that usually comes in the form of a keychain. Some people feel tempted to choose one that looks just nice or that they feel most aggressive based on only the shape. The main idea is that kubotan is a self defense weapon before all and there must be some considerations for its features if you want to pick one that doesn’t fail you in a real life attack. Kubotan is used for striking and other compliance techniques and in order for it to be effective in such situations, it needs to have some weight and it needs to be solid enough, so it doesn’t break under the pressure. The weight is important for striking strength and power. This is even more important for fist loading techniques. But the weight becomes an issue as the keychain needs to be carried on a daily basis. So, you just need to find the balance here, by choosing something that is heavy enough to aid you in the striking techniques without causing you much discomfort as you carry it around. In other words, you can prioritize according to your own situation. The second requirement is length. Make sure your kubotan has a minimum length of 5.5 inches. Actually most of the kubotans available in the market will comply with this requirement as they follow the official design. 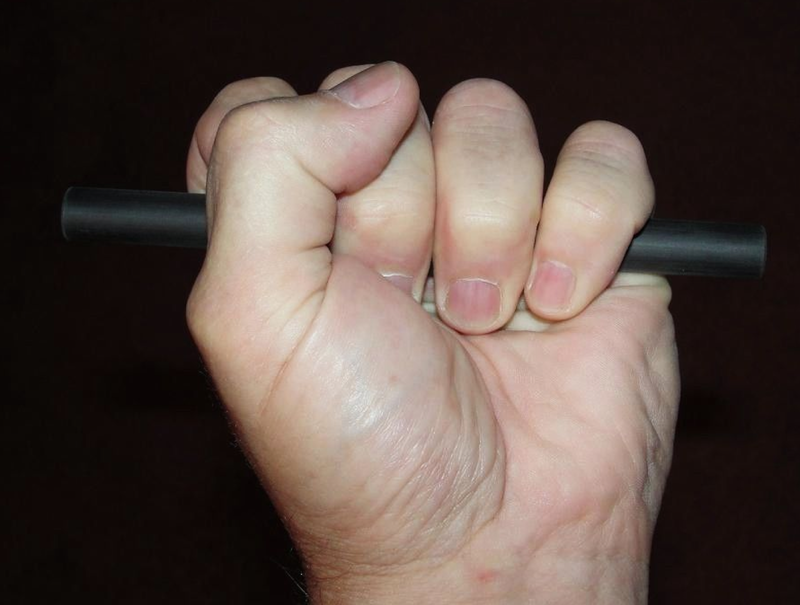 As a rule of thumb, when you close your fist around your kubotan from the middle, there need to be around an inch showing up from each site. Another consideration in terms of design, is that the kubotan needs to be non-slippery. It needs to be grooved to improve your grip over the weapon so you don’t lose it when you hands get sweat. The kubotan will be an everyday carry, for that it’s important that it provides some factors that supports this regard. One of these is to be easily concealed, for a kubotan to be highly concealable, it’s better that it has a keyring attached to it. This will convert it into a normal everyday keychain and make it look non-threatening for other people and this will justify that you carry it with you everywhere without getting into legal troubles in most of the cases. Another factor to consider, is the color of the kubotan. The less shiny and reflective your kubotan is the better for concealment purposes. The bright and shiny colors can easily bring attention to your kubotan, which is something we want to avoid for our purpose. Lastly, you pock et stick needs to look non-threatening or non-dangerous by all means. The power of the kubotan lies in the simplicity of the techniques and the skill behind delivering those techniques. It’s not really how dangerous or aggressive your weapon is. Plastic Kubotans: are they good? 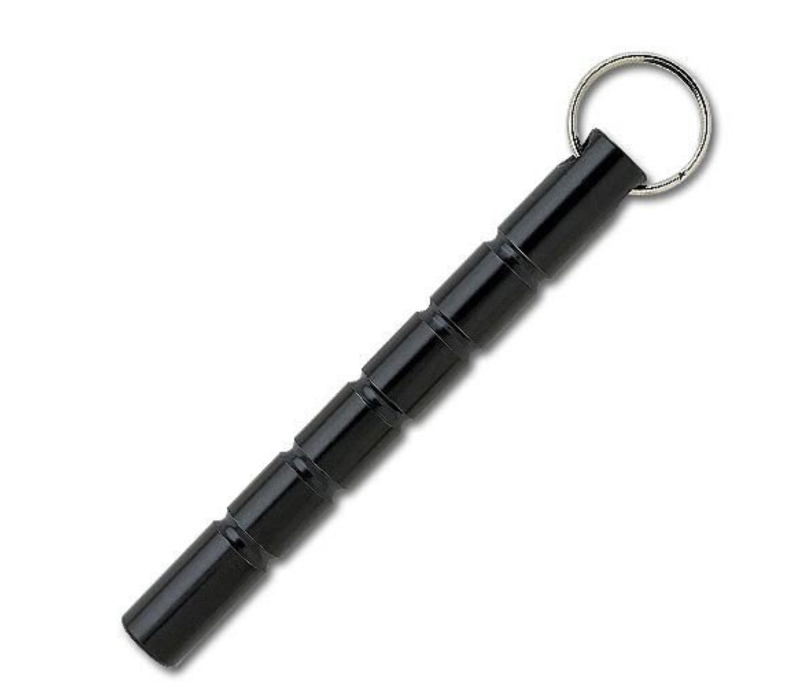 Plastic kubotans or kubatons are just another form of the keychain that are usually made of polymer. Although they are not metal they are still very hard and solid. They have the same dimensions of the standard metal kubaton. The polymer kubotans are usually much lighter than the metal ones, which makes them an easy everyday carry but could hinder their ability to deliver some techniques, like fist loading to give an example. 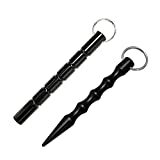 They are still excellent for jabbing, stabbing and other types of techniques like locking and anchoring. They are good tools to use for self defense, however not the best choice if the sole purpose is self defense when compared to the metal ones. They also come handy while traveling or while visiting places where you want to avoid the noise made by metal detectors. If you decided to pick a plastic kubotan, then one thing to consider is that your kubotan needs to be grooved to minimize the possibility of slipping if your hands got sweaty. Quality is very important factor here to compensate the loss of weight. In short, they are lightweight and solid tools, that are still good for self defense. Koga SD1 Made of High Impact Polymer - Good for Self Defense, Security and Sports.